This article is written by Lieutenant Technician Väinö Mäntymaa, an aircraft inspector in the Finnish Air Force. Image: Fetching Morane's at Malmö, Sweden. In front of the first Morane, MS 302, left to right: A Swedish hangar chief; Captain E.Erho, 2ndLt P. Reinikainen, Lt R. Turkki, Capt. S-E Siren, Ltn M. Linkola, Engineer I. Kaikkonen, Lt E. Lupari, the author mechanic Väinö Mäntymaa; On top of the plane are Swedish mechanics. 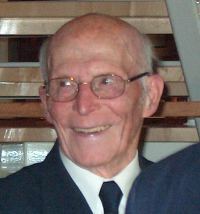 Picture provided by Väinö Mäntymaa. 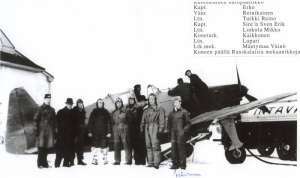 The Air Warfare School was moved from Santahamina to Kauhava on July 1929. The move affected the life of Kauhava and the whole region in many ways. Especially the young men gained new interest in aviation. When there was an air show on July 1930, youngsters came over from as far as Ylistaro on bicycles. We enjoyed the show. Niilo Karhumäki was there flying his plane, the "Karhu (=Bear) 1". The Karhumäki brothers had built the plane themselves in the loft of their cow shed. The plane was powered by the Harley Davidson motorbike engine. But what especially stuck on the mind of a 17 year old boy from Ylistaro was the baggy pants. There was a lad from the neighbourhood on the field, walking around as an Air Force Corporal, wearing spiffy blue trousers. I wanted them too, so it was time to fill in the papers. Aside the health certificate, the most important paper was the certificate of good conduct. Those were poor times in Finland and there were many applicants, but it went fine for me. I got the invitation to the service as a volunteer, starting on March 10th, 1931. I had the right to wear the blue baggy pants. So it began. Flying, too, though mostly on technical flights. My primary area was airplane technics, studying theory and doing practical work in turns . Came 1939 and the serious times. The Winter War began. Part of the Air Warfare School aviation training was moved to the Menkijärvi field at Alajärvi. We were lodged in the houses of the village, my wife and half year old daughter moved with me. It was the end of January, 1940. Breakfast time, we were eating pea soup in our temporary cantina at the field. Behind me, the Unit Officer asked those of the technical staff who wanted to go on a mission abroad raise their hand. We lifted our left hand, the right one kept shoveling soup. After a couple of hours there was announcement that Mäntymaa goes. I had to leave on the night train at 9 pm, wearing civilian suit. Such a short notice, no way I could pack proper luggage. We were assigned a big car, we stuffed our stuff in the back. People sat on the front seat, and off we took. Shops were already closed, when we reached Kauhava, so we had to go and find the shopkeeper to serve us. We got civilian gear, beginning from the underwear. Quickly back to the train, as our orders were to report at the Air Force HQ at Helsinki right away as the train arrived. We got new orders to report at the Finnish Embassy at Stockholm. First to Turku, and from there a night flight to Bromma with a Junkers. It wsa impressive to come from darkened Finland to the brightly lit Stockholm. The next order was to report to Captain Eero Erho in the Hotel Hospiz, at Malmö. Eero Erho was the first Finnish parachutist. He had made several jumps in Finland, and before that in Australia. He knew French too, which was needed in the missions to come. When reporting to him, I was informed of my work too. I was to give technical review to the French Morane-Saulnier M.S. 406 fighters that the Finnish Air Force was receiving, and also to familiarise myself with their structure and technics. It was a relief to know my job, even if it didn't prove easy. We would be living in the same hotel, and dine in the nearby Ellstorps restaurant. We were welcomed warmly. It was the morning of February 1st, 1940. The temperature in Malmö was about -4 C (-25 C in Finland) and foggy weather. After breakfast at the hotel, we took a tram to the Bultofta airfield. On the field and the hangar of A.B. Aerotransport, our planes were in crates waiting for assembly. By request of the French Air Force, the French airplane factories had designed, developed, built and taken into operative use the single-seat fighter Morane-Saulnier M.S. 406. The plane was technically advanced in many respects. For example, the hydraulic systems pressure was 225 atmospheres. Wingspan 10.62 meters, length 8.17 m, height 3.26 m, wing area 17.2 ml and flight weight 2,500 kg. The engine was the 860 hp Hispano-Suiza 12Y31 liquid-cooled V-12 motor. Top speed on sea level was 377 km/h, at 5480 meters 449 km/h. Practical cruise speed 300 km/h. Armed with one 7.5 mm machine gun, later with one in each wing. Between the engine cylinders there was at first a 7.5 mm MG, then a 20mm cannon, and then a 12.7 mm rough-calibre MG. Each wing had a holder for a 12.5 - 25 kg bomb. French Government presented Finland with 50 of these planes, 30 of which were now ready for assembly and reception. There was a team from France led by Captain Etienne, including two airplane mechanics and a radio- and gauge mechanic. Under the guidance of the French, with help from the Swedish mechanics, we began taking the parts out of their crates and putting them together. The French spoke only their own language, so we had liguistic troubles at times. But since the manuals and charts were good, and we shared a common area of technical interest, we got over them. They came to Finland too and gave invaluable assistance in servicing our Moranes in the March of the Winter War. Attaching wings and propellor, putting in weapons and equipment. Checking the gauges, pneumatic and lubrication systems, then final inspection. That's the assembly sequence in nutshell. It took one day to assemble a plane so it was ready to take out. Fill with fuel, various oils and pressured air, and you have a plane ready to fly. Last, you calibrated the guns. When the Winter War erupted, the flight equipment used in pilot training was technically WW1 level. Fixed landing gear, propellors with fixed blades, no pneumatic our hydraulic functions, and with simple gauges. The M.S. 406 had retractable landing gear, propellor with adjustable blades, hydraulic flaps and movable liquid cooler. The number of gauges needed to check all these functions, not to mention the weapons, hydraulic and pneumatic systems were many times bigger than what our pilots were trained with. The M.S. 406 was single-seater, so training had to be given on the field. 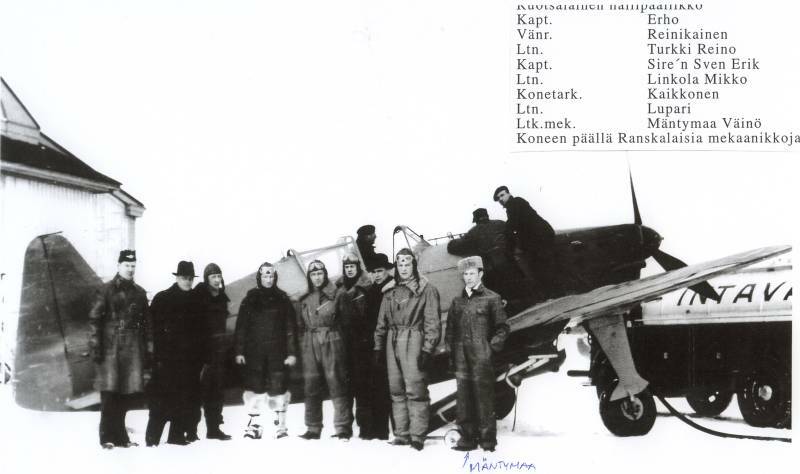 The Finnish pilots came to Malmö in groups of 2-5 during February '40. Flight training began. Capt. Etienne sat in the cockpit, the Finnish pilot stood on the wings. Etienne spoke German. Under his guidance, the pilots went over the plane's properties, structure, controls, gauges and use. Then they took off. The runway at Bultofta was only 800 meters, short for the M.S. fighters. Especially during the first flights I stood by the hangar with my fingers crossed, stiff with fear. Guess a couple of times I threw a wishful glance at the sky above flight altitude. It wasn't easy to take the step from WW1 era equipment to the most advanced flight technology, in just a couple of hours with no test flights. When I asked about it, a young Lieutenant, nowadays Agricultural advisor Mikko Linkola (fetched four planes) answered me: they were young, daring, enthusiastic and convinced of their cause. The planes were taken to Finland in groups of 2-5 planes, on February 4th-29th, 1940. The flights went fine, only 2-3 planes had to do a forced landing on their way, with minimal damage and pilots unhurt. in Finland, a runway was plowed on the ice of Lake Pyhäjärvi at Säkylä. Training began right away when the first planes arrived. During the Winter War, on February and March, the M.S. planes took part in the air defence of Turku, Pori and Uusikaupunki, intercepting and shooting down several Russian DB and SB planes, and harassing bombing missions. A group of our planes took part in frontline action, mainly at Viipuri Bay, against Russian truck columns and planes. The M.S. was technically a difficult plane to maintain, especially in Finnish winter, and required plenty of expertise and patience from the crew. It was built for the Mid-European conditions and calmer weathers. Finland received a total of 87 Moranes during the wars. In Malmö, the office of a daily newspaper had the Finnish map in the window. They followed the situation in our front and marked the current lines there. I checked the development every morning and night with serious face, as did many locals with me. The general atmosphere was worried. During the month I stayed there, the Swedish compassion was marvellous. When I left, I bid farewells to the staff at the airbase, as well as the people at the hotel and restaurant, they all had become familiar. On Feb 29th, when I was at the Malmö station leaving for Stockholm, there were a big crowd with a huge bunch of flowers. Thanks to many incidents, the bunch followed me all the way to the Artukainen airbase in fighting Finland, giving my bearded comrades-at-arms ammo for jokes and cracks. In the morning at the Finnish Embassy I was given a welcome gift, a Swedish 9mm military pistol and orders to return to Finland. A Junkers took me from the Bronima field at Stockholm to the Artukainen base at Turku. I was finally home. Article written by Väinö Mäntymaa.